When the RCII Economic Union flexes its muscles, the West will feel it—BIG TIME! TMR Editor’s Note: The article posted below in its entirety is perhaps the most prophetic on the Internet today about the future of the Global Economic & Financial System (GE&FS). The current incarnation of the GE&FS was conceived by the International Banking Cartel that essentially rules the world today. It is maintained by the financial capitals and economic powerhouses of the planet located in London and New York City, Paris and Brussels, Zurich and Luxembourg City, Tokyo and Hong Kong. However, that’s all changing… and changing very fast as a result of the world’s de facto policeman — the United States of America — having morphed into a global bully over decades of naked imperialistic militarism. The unending and unprovoked wars of naked aggression waged by the U.S., UK, France, Saudi Arabia, Israel and the various “coalitions of the willing” have pushed the East to re-evaluate their relationship with the entire GE&FS. 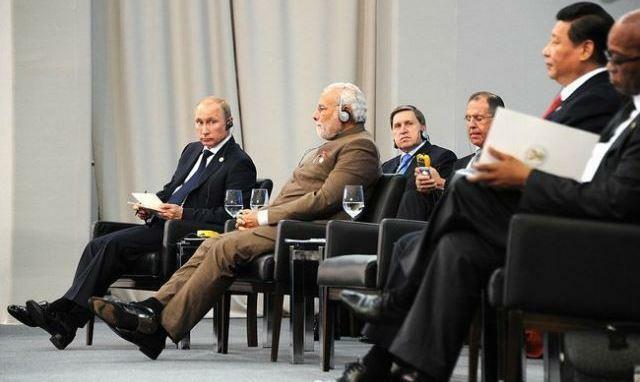 What THE BIG FOUR — Russia, China, India and Iran — have done is forge a new global order of trade and commerce. The novel institutional arrangements that are springing up every day now have permanently altered the economic landscape and financial atmosphere—FOREVER! Each major move and maneuver in this particular regard has served to profoundly undermine Western hegemony, especially American military superiority and economic might. The bottom line here is that the once Almighty Dollar is effectively dead as far as its revered status as the world’ reserve currency is concerned. This is exactly why the U.S. has been launching so many economic and military wars across the planet since September 11, 2001. The Anglo-American power structure saw all this coming and has been taking pre-emptive actions to slow the collapse of Western civilization. Nevertheless, once the controlled demolition was triggered — AND IT HAS BEEN — there is obviously no stopping it. While the ongoing breakdown of the old GE&FS may be occurring in slow motion, it’s taking place nonetheless. 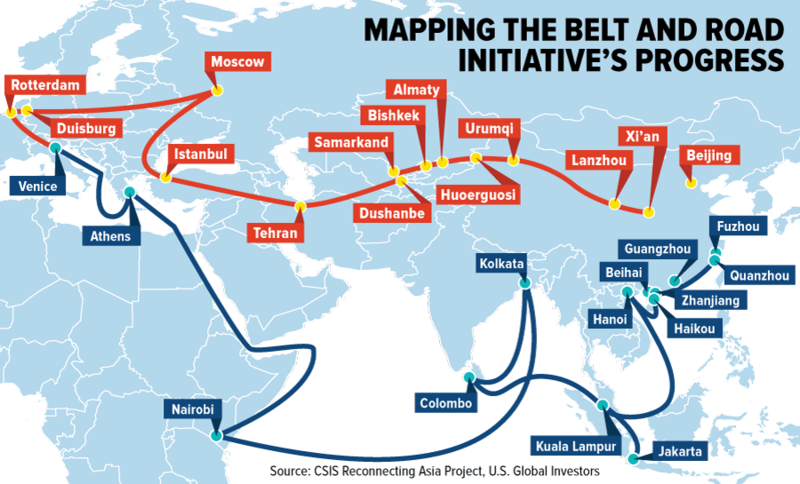 For there is simply no stopping the rapid development of the Belt and Road Initiative which essentially translates into a burgeoning “New Silk Road” space of massive economic and financial cooperation between THE BIG FOUR and beyond. The following penetrating analysis fleshes out the skeleton of this extremely exciting narrative; for this unparalleled series of events is destined to change the world in ways that can only be imagined. Truly, the Locus Of Global Power Shifts From The West To The East. The synergies in recent years have shifted from the military and diplomatic arenas to the economic one, especially thanks to Donald Trump and his aggressive policy of wielding the dollar like a club with which to strike political opponents. One last step that these countries need to take is that of de-dollarization, which plays an important role in how the US is able to exercise economic influence. Even if the US dollar were to remain central for several years, the process of de-dollarization is irreversible.